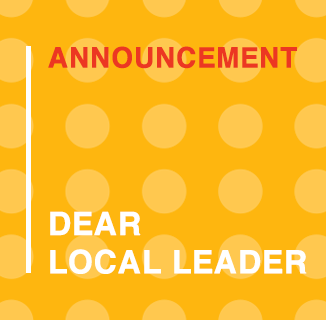 As an IxDA Local Leader, you are integral to our goal of fostering the design community from around the world. Your unique perspectives on emerging design talent in your corner of the world helps us elevate design on the international stage. Because of this, we want to continue offering you free entries to the 2019 Interaction Awards, as we pursue our commitment to recognizing the best design work across from every culture on earth. We’re giving away one free entry to each IxDA Local Group. This means you as the Local Leader take up the challenge of deciding who will receive that honor for your region. Let us know your favorite project work — and also encourage others to enter theirs. To find out what makes work awards-worthy, check out past winners here. It’s often difficult for young and new designers to gain recognition for their talent and hard work. We’d like to do our small part to help, and are happy to announce that we’re continuing to offer free student submissions. Every student may enter a project in one category for free. We want rising talent to understand the great company they’d be in. Our fantastic past student winner entries can be seen here. It’s actually the global IxDA community that drives the Awards selection process every year. All submissions undergo a peer review process to form the short list of projects, from which our international jury of accomplished design practitioners select Finalists and Winners. This peer review process is unique to the Interaction Awards—your voice is critical. We’d be honored if you’d join us for peer review and also recommend additional reviewers from your local groups. Sign up here to be part of this year’s Peer Review panel. Local Leader Kits are here to help! We know reaching out can be challenging so we’ve put together a kit for social media posts to help you build some buzz about this exciting awards opportunity. If you have any questions, or need other materials, don’t hesitate to contact us at awards@ixda.org. We are happy to announce that Fabricio Dore will be joining alongside Rodrigo Vera as co-chair for this years awards. Say hello during Interaction Week (3-8 February 2019) in Seattle, USA.